Once I had found the hotel (the address was not recognised by my sat nav and I ended up in Quimais), parking was easy, hotel was easy walking to beach, town centre and close to many good restaurants. My wife and I stayed at the Ibis Centro for four nights. 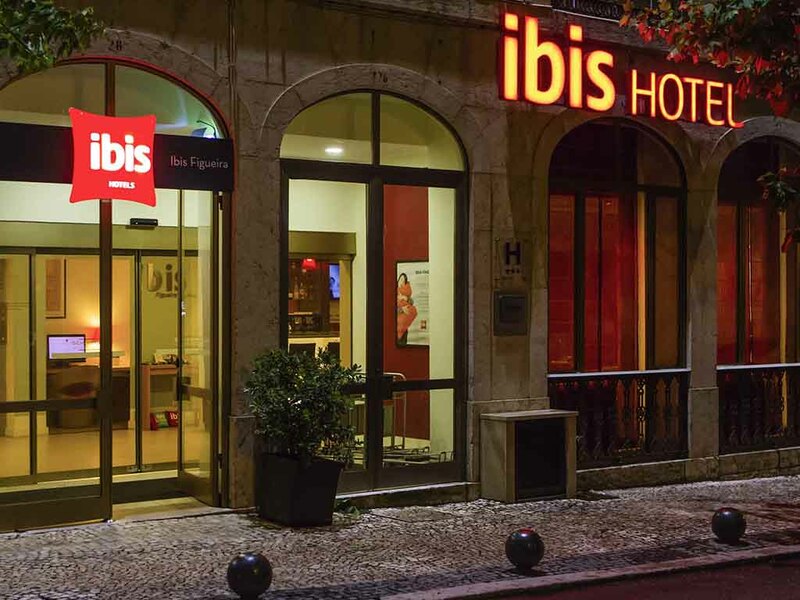 The rooms were clean and, for Ibis, quite spacious, and the staff were all friendly and very helpful. The lounge area was well decorated and the bar and television facilities were good. My only complaint is that for two consecutive evenings contractors were refurbishing one of the rooms on our floor using loud power tools (as they do). Had this been during the daytime it would have not been a problem for us, but on both occasions this occurred when we had returned to the rooms before getting ready to go out for the evening, so we were painfully aware of the noise. We did mention this to the reception staff, but were told that it would not last for long and they were not able to do anything about it otherwise. Apart from this minor annoyance, the stay was very pleasant indeed, and we would not hesitate to stay here again. The check-in on 13/10/2018 was made with a very disinterested/unprofessional person named Philippe; if Philippe does not want to work as a receptionist in an ACCOR HOTEL on a Saturday night Philippe should think about another trade! Otherwise both the female receptionists on 14/10/2018 were excellent; efficient, smiling and understanding. Breakfast IBIS HOTELS standard, but, the cold meats [as usual] were not very appetizing. Rooms 109 and 207 to IBIS HOTELS standard, although we found more room space in room 109. Pillows not comfortable. Comfy bed and good air conditioning. Hotel was more than great! Staff is incredibly kind and friendly! The room was clean and tidy! We would certainly go back there ! Don’t forget the breakfast ! It was DELICIOUS! The experience was ok. The rooms are clean and Ibis Standard. The Staff was ok (from people very professional and nice to people not nice). Upon arrival to breakfast there wasn't much to eat. I had to ask for it. Nice room, friendly staff, quiet atmosphere, central location and substantial breakfast. Manager on arrival very helpful. However on checkout we were presented with a bill for food and drink which we didn’t have. This hotel was not up to the Ibis experience we are used to. It was comfortable, but the breakfast was very basic. It was close to everything. Parking is on the street which since we visited in February was not a problem. Staff not very friendly. The bathrooms should be urgently renewed! We got at the hotel, and we didn't have a place to unload our car, and we were able after struggle we did. We went to the room and it smelled cigarettes so bad. The room was Smoke Free but the reality was completely different. We complained but the only thing they could do was do offer a smaller room for us three (me, my wife, and our 5 year-old son). We asked if they had a better room , even if we had to pay extra, but the guy told me it was the only thing they had available. I asked for the full refund, but he said he couldn't do it. I even think it would be fair to refund at least one day, but again he said that was not possible. So we left and we went to another hotel (much more expensive) and we paid your hotel for two nights, and breakfast even if we didn't' stay there.